LOLA invites you to join us in August for a very special event. 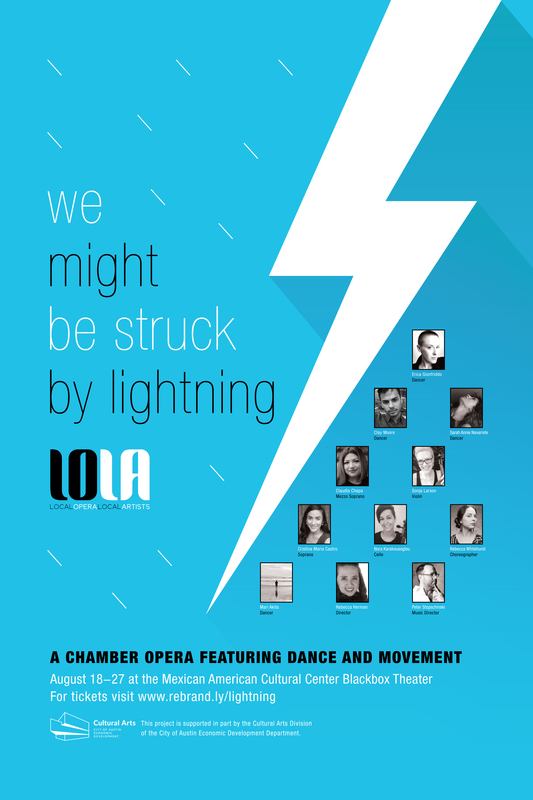 We Might Be Struck By Lightning is a choreographed chamber opera pastiche following two women on their personal journeys of love, loss, depression, and redemption. We Might Be Struck By Lightning takes the genre of classical “art song”, traditionally presented in a recital setting, and weaves it together with piano, violin, and cello to create a tapestry of storytelling that is further elevated through dance and movement. Music by Fauré, Schumann, Schubert, Tchaikovsky, and more! Stage direction and concept creation by Rebecca Herman. Singers Claudia Chapa and Cristina Maria Castro with dancers Clay Moore, Mari Akita, Sarah Annie Navarrete, and Erica Gionfriddo bring the shows themes to life. Music direction by Peter Stopschinski with orchestral collaboration from Sonja Larson and Nora Karakousoglou. Choreography by Rebecca Whitehurst and lighting by Natalie George. Costume design by Emily Cawood, makeup and hair design by Wendy Michaels Sanders, stage management by Carli Werner, and carpentry work by Zac Crofford. Tickets are $10-$30 for all performances except August 20th which includes a FREE option. Approximate running time is 1 hour and 45 minutes with one intermission. This opera explores mature themes. Please use your discretion when bringing young children. We look forward to sharing this experience with you, the Austin community, and those brave enough to visit our fine town in late August. Thank you as always for your support and enthusiasm! This project is supported in part by the Cultural Arts Division of the City of Austin Economic Development Department.